Some kings and queens in Indian history are very well known, and their stories are of what legends are made of. However, the stories of Indian royalty do not begin and end only on those popular legends. In fact, there are far more beautiful stories of different kings and queen that have somehow been lost in the passage of time. Yadvi – the dignified princess is one such story that has now been unveiled cinematically for the first time. This past weekend, DCSAFF (DC South Asian Film Festival), under the leadership of Mr. Manoj Singh and Geeta Singh, presented this great film to the DC area audience. A true story of a princess from Patiala, named Yadvi, caught in the moral and societal dilemmas that existed in the period right before and after Indian independence, the film is particularly special because it is a tale told from an interesting source – the granddaughters of Princess Yadvi herself (director Jyoti Singh and writer Gauri Singh). Never have I heard or seen a film where actual relatives or descendants from the title figure have written and made the film, and this is what is particularly fascinating because it adds a layer of authenticity to the proceedings while also enabling a proper tribute to a story that may not be well known. 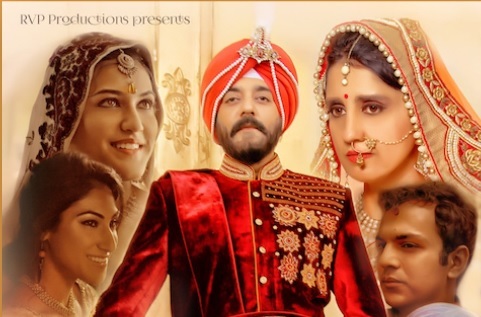 Yadvi is the tale of the beloved daughter of the Maharaja of Patiala (Chandrachur Singh). At a young age, Yadvi is betrothed to marry a Rajput prince from Maiher to strengthen the political relationship between her kingdom and that of the prince with the caveat that she will only move to the prince’s kingdom when she turns 21. When certain unexpected circumstances force Yadvi (Jyoti Singh) to move to Maiher earlier than anticipated, she and her brothers are troubled to find that the prince (Rahul Godara) has also taken another princess from Gwalior (Resha Sabbarwal) as his wife. Yadvi decides that, no matter what circumstance, she will maintain her status as the first wife of the prince. Will Yadvi be accepted and be able to do justice to this and many more trying situations? Will the prince love her? How will she overcome the social dilemmas of both the time and what is expected of her? The film answers these questions and more. Performance wise, Jyoti Singh puts in an incredible performance as Yadvi. Her subtle and soft expressions reveal a strong woman who, despite seeing things crumbling around her, is resolute in her decisions and convictions. You feel her pain and her small joys simply by virtue of what Jyoti conveys without even saying any dialogues, rendering not only a memorable performance but also an example of how emotions can convey so much without resorting to being over the top. It is a great treat to see Bollywood actor Chandrachur Singh after a long time in the role of Yadvi’s father, the Maharaja of Patiala. He does a stellar job depicting the larger than life personality of a much loved king. Rahul Godara and Resha Sabbarwal do an excellent job as Prince Govind and Princess Kanak respectively. Godara’s drunken scene is particularly memorable, while Sabbarwal’s expression when meeting Yadvi for the first time also leaves an impact. Nikkitasha Marwaha steals the show as the vamp character of Lady Giriraj, and adds one of the most interesting dynamics in the film, giving a twist to the story that changes everything that one thought would happen. The music by Anuj Garg is simply superb in the movie, while the editing is fluid and fast moving. I would like to give a special shout out to the production design. It is quite impressive and opulent. One actually feels like they are a fly in the room during a time long since gone. This level of detail is hardly seen in films today, and huge kudos to the production designing team for depicting palaces as they should be. The story by Gauri Singh and direction by Jyoti Singh and Vick Krishna displays an excellent understanding of human emotions, as well as what those times must have been like for royalty. It goes beyond pomp and ceremony. There was pain, there were heartbreaks, there was intrigue and there was unpredictability in love. Gauri, Jyoti and Vick have captured this essence extremely well and unfold the story in an exciting manner, hooking the audience right from the first frame. All in all, Yadvi is a cinematic experience not to be missed. If you have the chance to watch this beautiful film, don’t miss it. Special thanks to Manoj and Geeta Singh for bringing the film to us. Also, don’t miss the DC South Asian Film Festival 2017, which will be from Sept 8-10 this year.